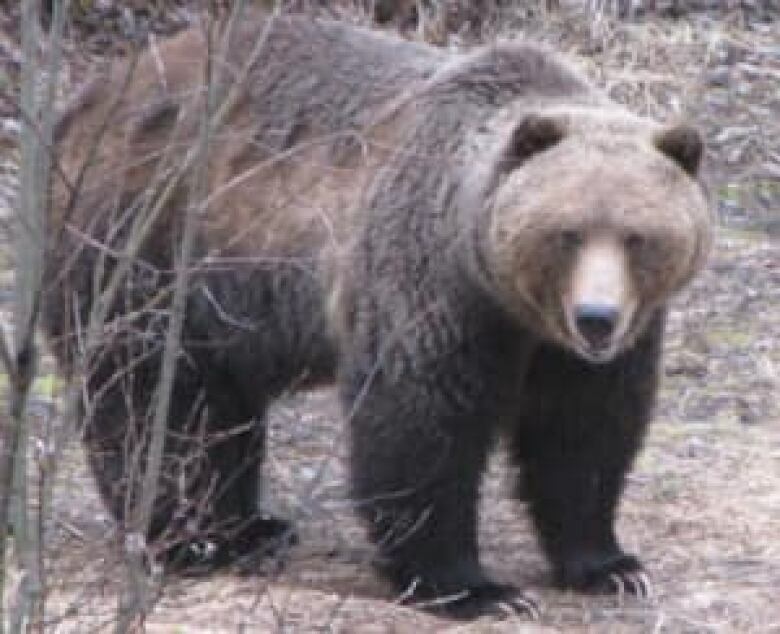 The death of grizzly bear in Bralorne, B.C., has divided the community after the large bear was killed by conservation officers at the end of April. 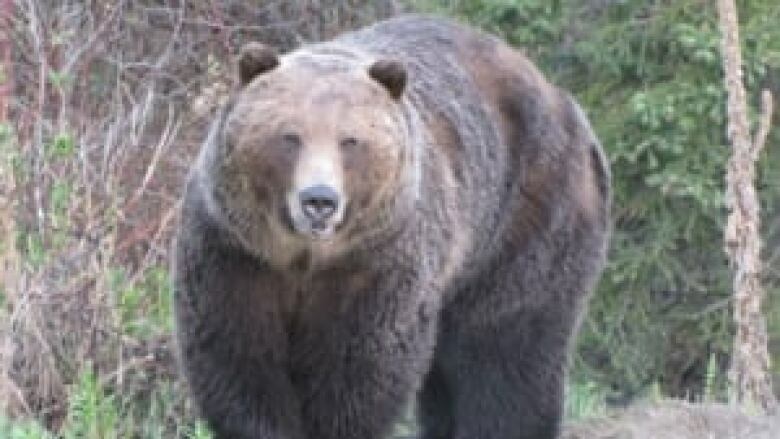 The death of grizzly bear in Bralorne, B.C., has divided the community after the massive animal was killed by conservation officers at the end of April. "Homer" the grizzly was well-known to locals, says Debra Demare, the regional district director for Squamish-Lillooet. "He was huge, he was an alpha male grizzly bear. He was very large, a very good looking bear." Homer regularly broke into chicken coops in search of food, once even killing a pig, said conservation officer Bob Butcher. Butcher struggled for five years to keep the grizzly out of backyard farms in the south Chilcotin area, about 115 kilometres northeast of Vancouver. In 2008, he tried to take out the bear with a rifle shot to the chest. "All I saw was that great big, bright explosion and through that cloud of smoke I saw Homer running away and I thought, 'What is going on here,'" said Butcher. The bullet had hit a GPS tracker hanging on the bruin's chest. For the next three years Butcher used rubber bullets to keep Homer away from residents. Then this spring, the bear broke into someone's basement to get at a chicken and the conservation officer's second attempt to kill Homer was successful. "This year he showed up early. He seemed to be on a mission this year. He was just unstoppable when it came to chicken pens and poultry," said Butcher. "Despite the fact that he had a goofy name, Homer, he's a huge and very aggressive and powerful bear when it came to buildings, and we just couldn't take a chance on another year. Pretty hard to explain if somebody did get hurt why this went on for four or five years so we just made the decision we had to put him down this year." Scott and Nicole Burns say they watched Homer come and go for years before he was shot behind their home. "We cried. It was one of the saddest moments I think that either of us has experienced," said Nicole Burns. "It was about four in the morning," said Scott Burns. "We saw the whole thing happen in our backyard. Heard the shot, heard the bear cry and then we cried. It was terrible." Scott said Homer always respected their electric fencing and it kept him away from their chickens, but he admits the bear took residents by surprise this year when the animal came out of hibernation weeks earlier than usual and killed chickens before residents were able to get up their fencing. The bear's death has divided the community, said Scott. He thinks people need to stop pointing fingers and look for ways to make the community more bear-safe. Demare, agreed and said those who want to keep livestock in bear country need to do a better job. "You know I understand that people that live in Bralorne feel their properties were bear proofed. So the question is 'Is there a way they could improve the electric fencing cooping systems they have?' Because it wasn't adequate. He was getting the chickens." She said the community is bringing in bear experts later this month to educate people how to better protect their yards.